Are you wondering who Krom is? If that is the case, you are definitely not up to date. 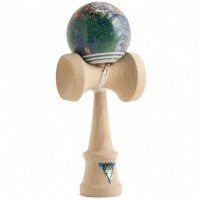 Krom is one of the most popular Kendama manufacturers in the world at the moment. A marketing scheme? Heck no, the Kendamas that are being popped out of the factory are using the best technology possible and are being built with the best wood on the market. It’s never too late if it’s lit, and if we are talking about Kendamas, we gotta talk about the POP. 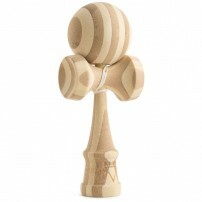 Krom is back with a Kendama for the little ones. I mean not that little but you know what I mean, right? Bamboo. That is enough. That word says something very special about what you are about to experience. What is so good about the V3 Smoked Mahogany version from Krom? Everything. So, where does it fall short? Nowhere.